as you may remember from my post on monthly meal planning, my 2011 goal was to be less wasteful, especially with food / leftovers. after making pepperoni pizza dip for sunday’s super bowl. i had a bunch of ricotta left over, so i wanted to find a use for it. 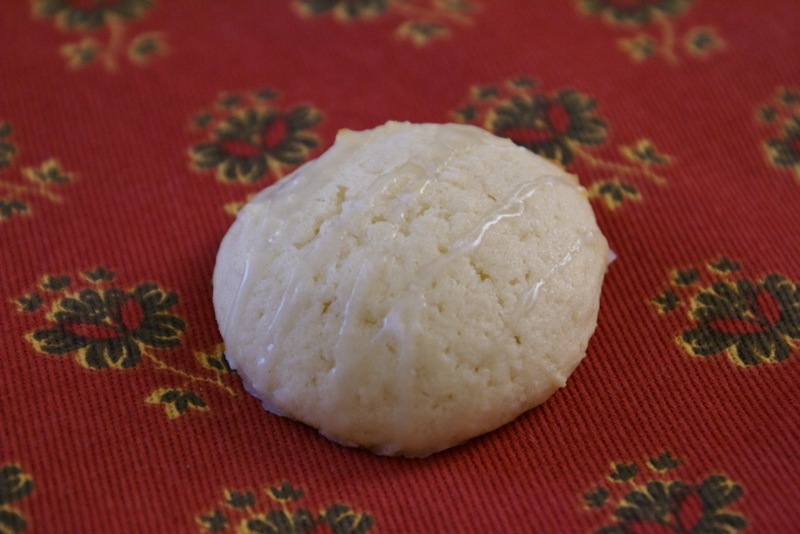 after searching around, i came across this recipe for lemon ricotta cookies. not only would they use up the ricotta, but i already had all the other ingredients in the house, which made them very economical (+ non-wasteful). not only did these cookies help me use up the ricotta, they also seriously impressed me with their deliciousness. i only made one change to the recipe – rather than glaze the entire cookie top, as recommended, i fork-drizzled the glaze over each cookie for a more subtle flavor. the cookies have a soft, cake-like texture, with a fresh, citrusy flavor, while the glaze adds a bit of sweetness + a zesty bite. these cookies are truly delicious + i will definitely be making them again. in a medium bowl combine the flour, baking powder, + salt. set aside. in a large bowl combine the butter + the sugar. using an electric mixer beat the butter + sugar until light + fluffy, about 3 minutes. add the eggs, 1 at a time, beating until incorporated. add the ricotta cheese, lemon juice, + lemon zest. beat to combine. stir in the dry ingredients. line 2 baking sheets with parchment paper. spoon the dough (about 2 tablespoons for each cookie) onto the baking sheets. bake for 15 minutes, until slightly golden at the edges. remove from the oven + let the cookies rest on the baking sheet for 20 minutes. combine the powdered sugar, lemon juice, + lemon zest in a small bowl + stir until smooth. spoon about 1/2 teaspoon onto each cookie + use the back of the spoon to gently spread (* or drizzle, as i did). let the glaze harden for about 2 hours. Mmm, I love anything lemony. These would be great for easter – bookmarking them! sarah, me too! i actually have a great lemon + pistachio rice recipe that i bet you’d love. will try to get it on the blog in the next few weeks! 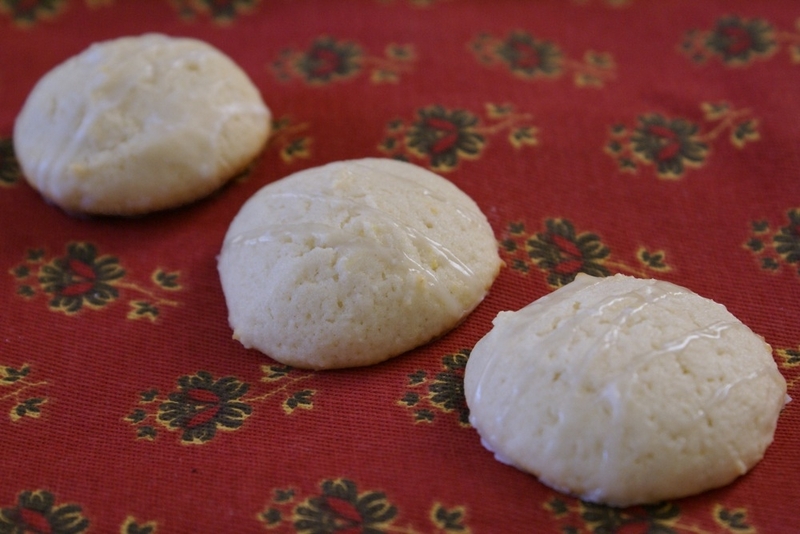 I love lemon ricotta pancakes- they use pretty much the same ingredients as these cookies. All your basic pancake ingredients, plus lemon juice/zest, ricotta cheese, and whipped egg whites to fluff up the batter. I’ve served them with blueberries/blueberry sauce, lemon curd, and maple syrup. So good! There’s always good ol’ white pizza: pizza dough, pesto, mozzarella, and big spoonfuls of ricotta on top. I made that for the Super Bowl last year, but be warned, it competes with Cheetos for being dangerously cheesy. mmm, those lemon ricotta pancakes sound awesome, especially topped with lemon curd + blueberries. swoon! i’ve only made a white pizza once + absolutely loved it. i wouldn’t have thought of topping it with ricotta but it’s a wonderful (+ the cheesier, the better round here). thanks for the ideas, jamie! I can’t wait to try these. They remind me of the cookies my grandma used to make at the holidays! Have you ever added blueberries to this recipe? I have been looking for a recipe for blueberry lemon cookies and these seem very close to what I am looking for. 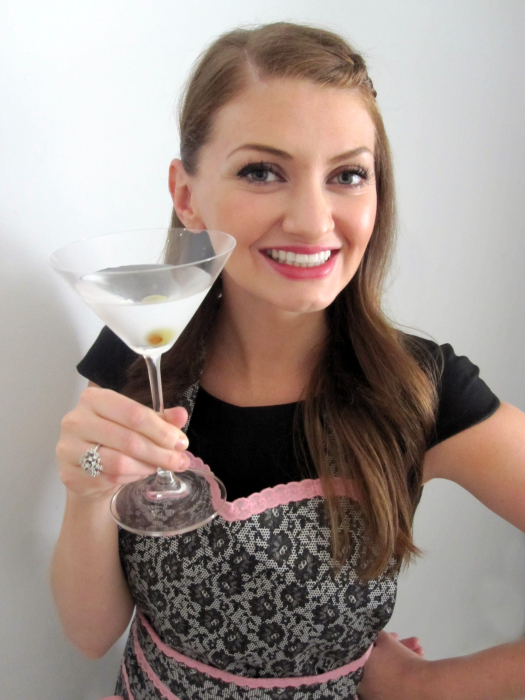 I JUST FELL IN LOVE WITH THIS WONDERFUL RECIPE !!!!!! THANKS FOR POSTING IT !!!!!! that’s wonderful + you’re so welcome!